Headquartered in Turkey, Beko is an international appliance manufacturer that has been producing appliances for residential customers in Europe and the United Kingdom since 1954. The Beko DW600 is a full-size, energy-efficient dishwasher with five cycle options and a 12-place setting capacity. If your Beko DW600 malfunctions, the electronic control panel may lock, making it impossible for you to select or start a new dishwashing cycle. 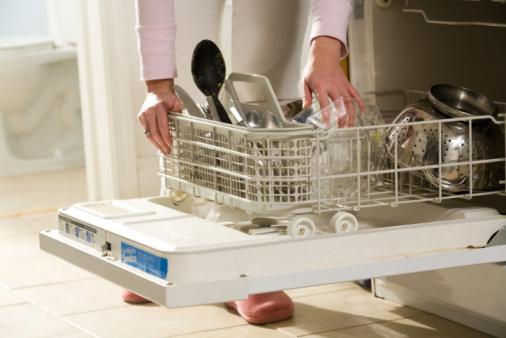 It is a simple process to reset the dishwasher's control board and unlock the control panel. Examine the electronic control panel on your Beko DW600 dishwasher to locate the "Start/Stop" button. Hold down the "Start/Stop" button and count to three to cancel the dishwasher's current cleaning cycle; release the button. Press and hold the "Start/Stop" button and count to seven to reset the dishwasher control board; release the button.